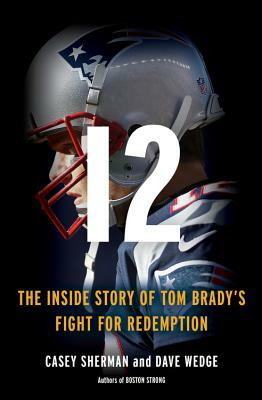 The thrilling behind-the-scenes account of how the most sensational scandal in NFL history culminated in the greatest comeback in sports history, featuring dozens of exclusive interviews with Patriots players--including Tom Brady himself. In January 2015, rumors circulated that the New England Patriots--a team long suspected of abiding by the "if you ain't cheating you ain't trying" philosophy--had used under-inflated footballs in their playoff victory against the Indianapolis Colts. As evidence began to build, however, a full on NFL investigation was launched, exploding an unsubstantiated rumor into an intense scandal that would lead news coverage for weeks. As shockwaves rippled throughout the NFL system, the very legitimacy of one of the league's most popular teams and their star quarterback began to erode, even as the Patriots and Brady went on to win that year's Super Bowl. But as the celebrations gave way to the offseason, the investigation only intensified, reopening old wounds between the Patriots' powerful owner, Robert Kraft, and the NFL commissioner, Roger Goodell. Brady was devastated and seemingly more nervous in front of a judge that on a game-winning drive. When the dust settled, Brady would be able to play again - but only after watching the first four games of the 2016 season from his couch. The pressure couldn't have been more intense: Brady's legacy was at stake. If he failed to return to his usual self, all the critics and even the history books would have to put a giant asterisk next to his name, signifying one thing: he was a cheater. 12 is the propulsive story of this gritty comeback. It's a drama that unfolds in the locker room, the court room, and under the brightest lights in all of sports--the Super Bowl. Now for the first time, readers will have an exclusive look into Tom Brady's experience and the NFL's shocking strangle-hold on their players. With unprecedented access to Brady himself, his teammates, and his lawyers, we will see just how a football legend went up against one of the largest corporations in the world to stage the greatest comeback in NFL history and emerge a god of the gridiron. Casey Sherman is an acclaimed journalist and author of ten books, including The Finest Hours, a New York Times bestseller that became a major motion picture, and CBS Films' Patriots Day. A graduate of Boston University, he is also a contributing writer for Esquireand Boston Magazine, an international correspondent for FOX News, the co-founder of Whydah Productions, and a much sought after national speaker. He lives in Massachusetts. Dave Wedge is a veteran journalist and the bestselling author of Boston Strong, which was adapted for the 2017 feature film Patriots Day. He writes for VICE and was an award-winning investigative reporter and columnist for the Boston Herald for 14 years. He's also written for Esquire, Newsweek, and DigBoston, among other outlets. A graduate of Boston College, he is a regular commentator on local and national networks, including CNN, FoxNews, CBS, MSNBC, CNBC, Good Morning America, CBC, and E! True Hollywood Stories.